Passing time after dropping off my daughters at their afternoon writing groups, waiting until the end-of-class celebration, I decided to stop in to Senator Collins’ office. I’m going to lose my food stamps (SNAP/EBT) and health insurance (MaineCare). They haven’t told me yet I’m no longer eligible, but, I just did some research. My ex-husband provides generous support. We voters don’t want him to be so responsible a parent, it turns out. The child and spousal support income alone makes me ineligible for food stamps and/or MaineCare while that same income is also not enough to live on. The costs of my new childcare (eight hours a week) plus the costs of growing my business make my own income generation nearly nothing. My income from work has been increasing, and I fully expect to be self-sufficient in the near future. Right now, though, it’s not enough to live on. The costs of self-pay health insurance will be far beyond my means. The costs of my necessary medications without insurance will also be impossibly high ($400/week, or $100/week with the pharmaceutical company’s assistance program, for just one of the prescriptions). Losing the food stamps, I can probably manage now. I’m already down to $150/month. Losing the health insurance will likely put me back into financial instability so significant the recent improvements in our lives will be at risk. It’s hard for me to understand how we can sort of support the idea of helping people get back on their feet. For a bit, it might seem like treading water could turn to getting up above the waves. But, really, government support intended to help is really only a fast-leaking life raft. It’s already nearly sunk before I’m able to swim on my own again. We say hello. They look at us funny. We try to make polite conversation. They give polite responses paired with blank stares. The well-known “deer in headlights.” Who are we? We are From Away. Who are they? 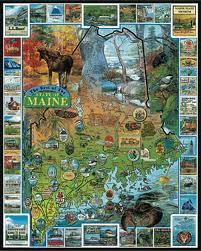 They are Real Mainers. I’ve lived in the Midwest, the South, and all over the East Coast. I’ve visited other parts of the country as well. The styles everywhere are different; the regional languages aren’t always easy to decode. After several years, I never did learn how to talk Texan. However, only in Maine have felt I speak an entirely foreign language. We’ve been here over five years and it still happens. I think I’m being friendly and I feel as if they think I’m totally offensive or insane. This happens in brief exchanges (paying for gas or at the market) and even still sometimes with people I’ve known casually all these years (fellow CSA farm shareholders, my husband’s former coworkers). Is it me? Is it something I’ve said? I’ve been trying to understand the puzzling dynamic. In the process I’ve needed to disentangle the social awkwardness I’ve known my whole life because of my uniquely outgoing personality. In Minnesota, my sociable personality seemed sometimes to surprise the generally shy folks. But even when it was a bit uncomfortable, I could sense they, too, were trying to make the conversations work. So when I arrived here, I thought the deer-in-headlights response had to do with my own personal style. As the years go by, though, I come across more and more people From Away who say, “oh my gosh, yes!” when I ask them if they’ve had similar experiences. We (From Away) are chatting away enthusiastically, trying to find common ground where we can all have a shared positive conversation. 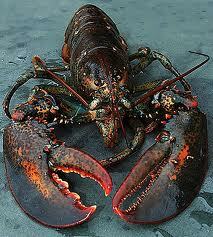 They (Real Mainers) seem to retreat into their shells with facial expressions bordering on contempt. I’ve become convinced people From Away and Real Mainers must frequently have different meanings ascribed to our shared social interactions. Sociologist Herbert Blumer believed, as I do, that people interpret each other’s actions and interact with each other based on those interpretations. In The Presentation of Self in Everyday Life, Erving Goffman offers a theatrical metaphor to describe social interactions. For Goffman, our interactions depend on our presentations to each other and our interpretations of each other’s performances. That is, I have my set of cultural values and expectations and you have yours. When we are together, our most successful interactions happen when we have an unspoken shared agreement about how to appropriately react and fit in. From Away I speak to about this phenomenon – we come from entirely different worlds, different cultural languages, different socio-economic roots, but all have the same deer-in-headlights experiences with Real Mainers. How can this be? I’ve witnessed Real Mainers interacting with none of the deer-in-headlights response. It seems so free and convivial. Their conversation dance moves smoothly from one to the other, there are no retreats into blank stares. It’s like they are a part of a super-secret club and know the handshake. Only a few times have I tried to participate in these conversations. And when I do? Until I extract myself from the situation (finish paying for my gas, for example), everyone stumbles. I get the paranoid feeling that as soon as I’ve left they quickly return to back slapping and speaking in that mysterious foreign tongue. I used to kick myself over this. I used to try and figure out where I went wrong. These days, I’m not as surprised. I’m less fearful that I’m just making huge mistakes. It’s very clear there are communication patterns here I don’t yet grasp. Until I find some good local sources (Real Mainers) to help decode the situation, I’ll keep on chatting away knowing my conversation partner might stare at me with wide open eyes showing what I can only assume are part surprise, part judgment, part puzzlement, and mostly, a part of a world I don’t yet understand.